I went to UEA earlier in the week to see Robert MacFarlane in conversation, discussing and reading from his book Landmarks. It was part of the Norwich Literacy Festival. I've blogged about the book previously with an early review, and also the long association with Robert's work and Geography since 2003 and 'Mountains of the Mind'. I've used it as inspiration for a number of projects over the years. It was a chance to hear Robert read from the book, and talk about his personal inspirations and the process of creating it, starting with a trip to Lewis and the discovery of a glossary of peat moorland terms. The section he read has an important message about landscape and the difficulty of writing about it, particularly when it was so apparently uniform. I didn't take notes but preferred to listen. As Robert said, if he was to take notes while on trips that would be a barrier between him and the landscape, although memory could also be a barrier. a) he was asked about the political nature of environmental writing, with links to the work of Marion Shoard, and Oliver Rackham also getting a mention. 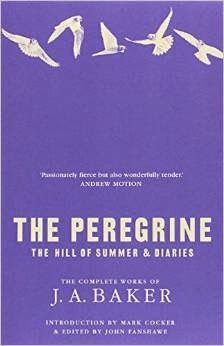 He said: "my direct action is my teaching and writing..."
d) lots of praise for J.A.Baker's 'The Peregrine' - I imagine a lot of people will read the book as a result. e) He described the link between language and landscape. Reminds me of the title of something I wrote for the Ordnance Survey in 2009.
about the underground landscapes beneath our feet. A nice way to spend the early evening.